From 6:00-8:00pm, volunteers are able to pick up a GDOS bracelet, registration information and enjoy light appetizers and a small program at the event. 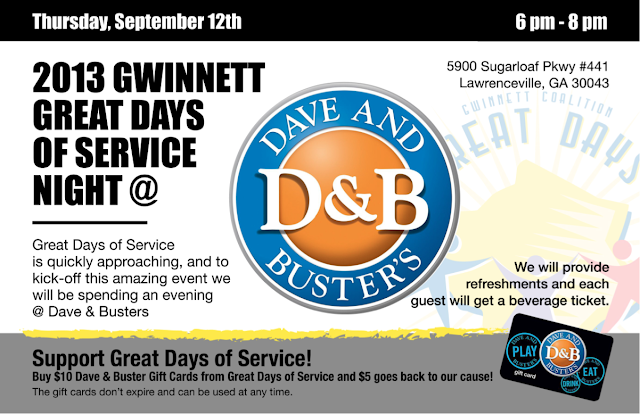 Participants can also purchase $10 game tickets where $5 will be donated back to the Gwinnett Great Days of Service. You can learn more about the kick-off event and the Gwinnett Great Days of Service at www.gwinnettgreatdaysofservice.org or www.facebook.com/gwinnettgdos. 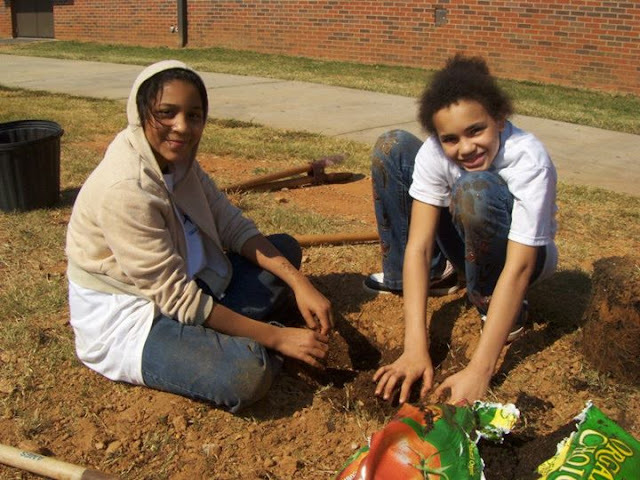 The Gwinnett Great Days of Service is in partnership with the United Way of Greater Atlanta and sponsored by Primerica, Gwinnett Medical Center, The Gem Shopping Network, Arthur A Buck Jones, Hands on Atlanta and the Atlanta Community Tool Bank.